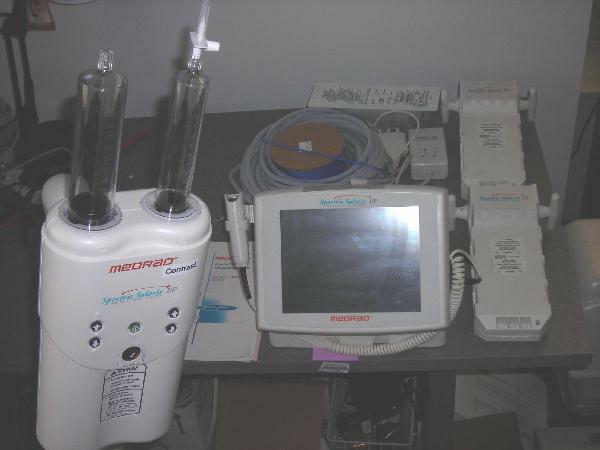 MEDRAD Spectris Solaris® EP MRI Injector. Approved for 3T magnets. Complete with color remote, head with pedestal, fiber optic cable, battery and charger system and power cable. Uses 65ml contrast syringes with a larger 115 ml saline syringe. Complete. Integrated continuous battery charger is available as an option.